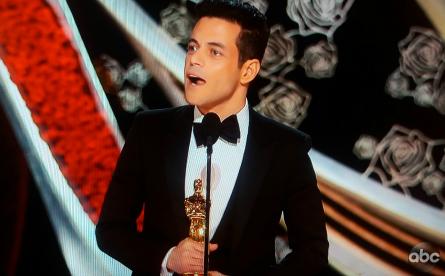 The 91st Academy Awards took full advantage of having a rock movie in the Best Picture category, “Bohemian Rhaopsody” by opening the show with a Queen performance with original members and Adam Lambert singing as lead vocal. Lambert also headlines the Queen tribute band. Other musical performances of the night included Jennifer Hudson, Bradley Cooper with Lady Gaga. The controversal hostless ceremony this year was curated by a number of celebrities from all genres of entertainment from pop super-star artist Jennifer Lopez to mega tennis pro athlete Serena Williams. 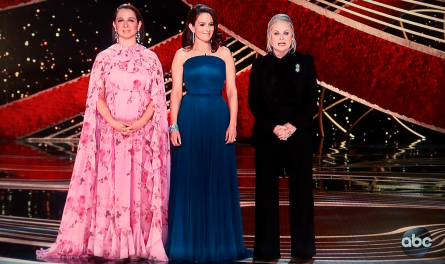 Comedians Tina Fey, Amy Poehler, and Maya Rudolph were the first slew to come out onto the stage to present the first award of the night. Pictured (l-r): Maya Rudolph, Tina Fey, Amy Poehler / ABC Televison Network. 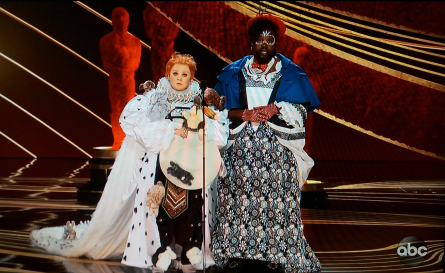 At a hostless ceremony, it seemed that the Academy was hinting of an unconventional night with many wins going to movies such as Marvel’s comicbook movie “Black Panther”, and rock-n-roll movie “Bohemian Raphsody.” With that, many milestones and firsts were had by the creators and craftsmen teams of these films. Conventional wins went to moives such as “Roma”, “Vice”, “The Green Book.” The format was a fresh welcome with less distractions from a host trying their best to please the Academy and A-list audience members. 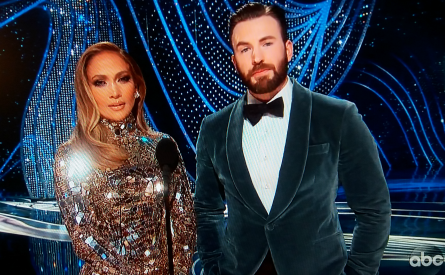 Yet, even without a host the Oscars ceremony telecast still somehow went on for four hours. The first Oscar win of the night went to actress Regina King who won for Best Actress in a supporting role in “If Beale Street Could Talk.” In her acceptance speech she thanked her mother for teaching her that “God is leaning in my direction” with tears in her eyes. The camera panned to a shot of her mom in the audience who was also crying. 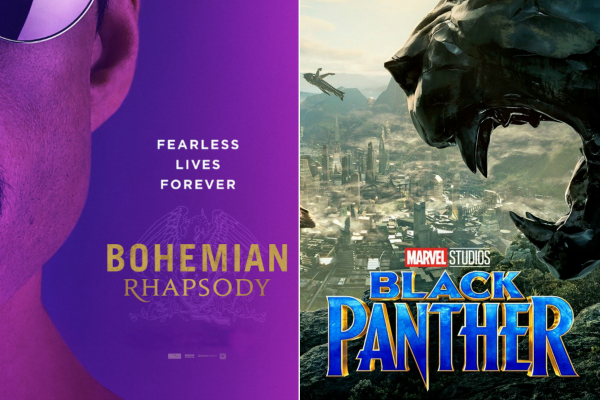 Sound Editing went to John Warhurst and Nina Hartstone for “Bohemian Rhapsody”, beating-out First Man, A Quiet Place, Roma, Black Panther. Warhurst said it was a “great day job” to be working with Queen. 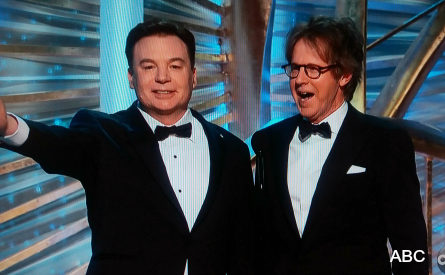 Next, the Sound Mixing Oscar went to Paul Massey, Tim Cavagin and John Casali also for “Bohemian Rhapsody,” a first win for this group of sound mixers. 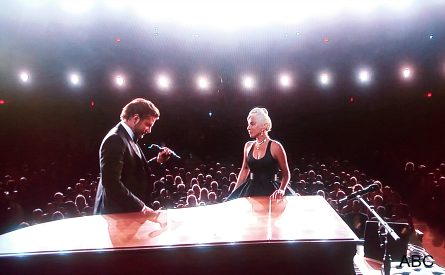 The most anticipated performance of the night “Shallow” performed by Lady Gaga and Bradley Cooper did not disappoint. “Roma” Netflix film won Best Foreign Language Film. Alfonso Cuarón’ accepted the honor for “Roma” and explained that the American films that inspired him were Citizen Kane, Jaws, The Godfather. 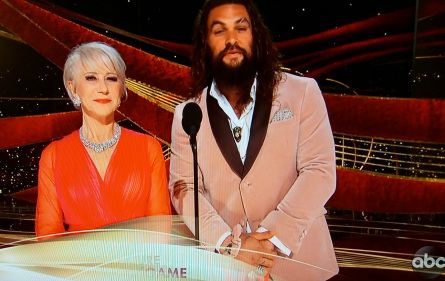 “We are part of the same ocean,” he stated and thanked Mexico and the beach where the film comes from. Actor in a Supporting Role – Mahershala Ali for “Green Book”, who won in this same category for “Moonlight” in 2016. Ali thanked his mom who taught him he could do anything that he puts him mind to. Animated Feature Film – “Spider-Man: Into the Spider-Verse” was a first win for the team consisting of Bob Persichetti, Peter Ramsey, Rodney Rothman, Phil Lord, and Christopher Miller. One thanked their families who experienced the four-year ride of the team making the animated feature. Best Animated Short Film – “Bao” from Pixar accepted by Domee Shi, Becky Neiman-Cobb who were also first-time Oscars wins for this team. Best Visual Effects – “First Man” won by Paul Lambert Ian Hunter, Tristan Myles, J.D. Schwalm. Best Live Action Short Film – “Skin” won by Guy Nattiv, who stated he moved to America from Israel five years ago, and Jaime Ray Newman. Jaime said she’s a parent and hopes her child won’t have to live in a world where “these things happen,” referencing “Skin” movie. 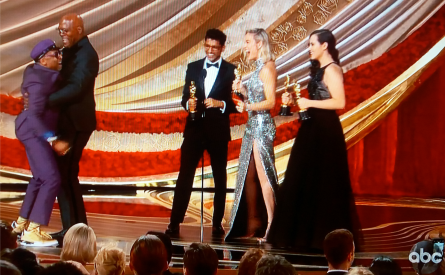 Best Orginal Screen Play – “Green Book” won by first-time Oscar wins for Nick, Brian and Peter who are also nominated in the Best Picture category. Best Adapted Screenplay – “BlackKlansman” won by Charlie Wachtel & David Rabinowitz and Kevin Willmott & Spike Lee. It was Lee’s first win and fifth nomination. 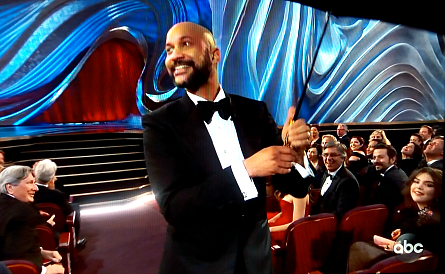 He thanked the relative that put him through NYU film school, and inserted numerous political messages within his speech….”the presidential election is around the corner.” The award was presented by Brie Larson and Lee’s longtime friend Samuel L. Jackson whom Lee jumped-up on upon collecting his Oscar award! Best Original Score – “Black Panther” won by Ludwig Göransson. Best Actress in a Leading Role – Olivia Colman for “The Favourite.” Colman gave what was the most heart-felt and comical speech of the night. She beat-out other leading ladies nominated – Glenn Close, Lady Gaga, Yalitza Aparicio, Melissa McCarthy. Colman finished-up by thanking Lady Gaga! Laughter followed. 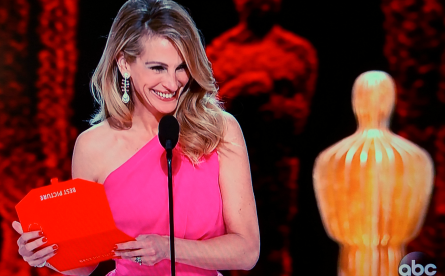 Pictured: Julia Roberts presented Best Picture Academy Award / ABC Television.